Why Were ATM Machines Initially Made? These were initially made to provide added convenience for customers. Once the technology was made available, they realize that by putting at least one of these at their bank, they would be able to help customers get their money quickly. There were always going to be days when there would be long lines at a bank, and this made it easier for customers of the bank to get cash right away. What Does An ATM Machine Do? An ATM machine is something that dispenses cash, typically in $20 bills. You will put your bank card and, access your account, and then tell them how much money you would like to withdraw. This money can be taken out of your bank account, or it can come from a credit card. There is typically a fee associated with using an ATM machine that is not directly related to the bank where your money is located. Why Are These Necessary With Banks Today? 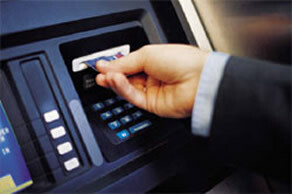 Banks rely upon ATM machines for a couple different reasons. First of all, if there is one outside of a bank, it is typically there to help with production. If long lines have developed, and people need to get their money, they can access this money right away. Instead of having to wait for a bank teller, they can simply go to the ATM machine and have the money sent out. A couple other reasons that ATM machines are so important is that it provides a high level of convenience for their customers. If people simply want to check how much money they have in their account, they can put in their card, enter in their password, and access how much money they have. They can even get a print out. In addition to this, if you are traveling abroad, and you can find an ATM machine, you can get currencies for whatever country you are in they will take the money directly out of your bank, or off of your credit card, so that you can get cash right away. Now that you know why ATM machines are so important, you can see why these will be around for many years to come. Although most people will do their transactions online, or they will use their card with a bank teller, ATM machines simply give them another choice. Even if you have not used an ATM machine before, you can see the benefit of having these available in your city. Likewise, if you are traveling to other cities, or other countries, this will allow you to get money directly from these machines that you can spend while you are going to different locations. It may be a sad fact of life but in order to live a full life in the 21st century you are going to have to interact with a financial institution at some point. However that interaction may be very different o that which was business as usual 30 years ago. In fact even a couple of decades ago the relationship that financial institutions had with the consumer was very different to what we are experiencing today. Gone are the days when every single transaction required an physical visit to the bank – what has replaced those visits is an increasing reliance on technology which according to the banks has made out lives better, simpler and the banking experience faster. Technology has meant that banking institutions who have often demonstrated that they have the turning circle of a floundering Titanic have now had to react to consumer demand more quickly than ever before. But what exactly has transformed the consumer experience of banking. Let’s take a closer look. Remember the good old fashioned ‘tear your hair out’ banking queue. That’s a thing of the past. Everything that you do should be able to be done online. However, the banking and governmental systems that we have to deal with still insist on physical presence to have documents notarized. This is hangover from the previous century – not even the last 30 years. There is simply no reason for this. Security should not be an issue. The banking system needs to reform its systems so that online becomes the path of choice. But they are slowly moving in this direction – but to change requires time. However the now common access to mobile applications now means that banking institutions have had to adapt or die. There are more options than there have ever been before when it comes to banking with a mobile device. Credit cards are now a thing of the past for those who wish to accept the idea of cardless banking. This financial institutions that fail to offer their customers the ability to conduct their business or simply to make retail payment using a mobile device will become dinosaurs – and extinction will follow very shortly. Increasingly it is not banks that are offering this service it is companies in the data and retail sectors that are taking over payment. 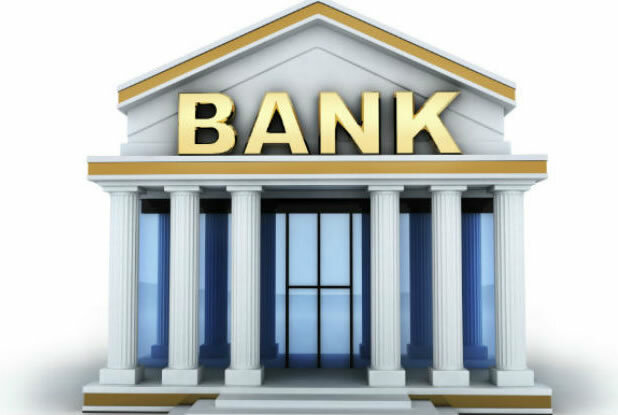 Whereas banks 30 years ago would make a tidy profit from transactions involving credit cards – today it is a free service and companies like Google and Amazon are taking full advantage of this chink in the armor of banks. The weaknesses of in terms of data security are also beginning to worry consumers. Data breaches that reveal credit card information and other personal details are becoming increasingly common. The faith that consumers have with retail banking is at an all time low. The world is simply too complex to rely on decades old technology. That is changing – but the rate of change is too slow. Out simply – the world of banking has changed, but it has to change much, much faster otherwise consumers will look for financial solutions elsewhere, including the use of Crypto currencies and alternative payment methods.